Henry Ford once said: “You can have any colour, as long as it is black.” Similarly, native inhabitants of Africa say: “You can be an African in any colour, as long as you are black.”There has been a sudden demand for an African to come in a variety of colours. During the days of slavery, when an African was a commodity, there was never a demand for him in any colour but black. There is now an attempt in the 21st century to redefine the colour scheme of an African. Now whites want to be classified as African too. Human beings are referred to as Earthlings because they live on the planet Earth. A person of any colour born in South Africa, for example, is called a South African. No one denies their South Africanness simply because of the colour of their skin. South Africa is on the African continent, and therefore a South African is an African regardless of colour. Unfortunately it is as simple as that. No great revelation here. This country has been divided for too long. Those divisions didn’t work. To attempt to divide us again, even under the guise of creating debate, isn’t doing us any favours. The truth is this debate is worn out and pointless because it doesn’t achieve anything but division. This has led to quite a discussion in the blogosphere, for example here Becoming African | my contemplations. Sentletse Diakanyo’s contention that only black people can be African takes me back to the political debates of the 1950s and 1960s. Back in the 1950s, in South Africa, white people were called, in English, “Europeans”, and so in the apartheid labelling of the time various entrances were labelled “Europeans only” or “Non-Europeans only”. Someone, I forget who, pointed out how silly it was by introducing himself, “I’m a non-European, from non-Europe.” The English-language newspapers of the time referred to black people as “natives”, but this came to be thought derogatory and so some time around 1960 they switched to “African”. The government didn’t go for this, because if translated into Afrikaans, “African” would become “Afrikaner” and that clearly would not do, so the government adopted “Bantu” as a substitute for “native”. The government Department of Native Affairs became the Department of Bantu Affairs. The confusion was apparent in an Afrikaans reader I had at school when I was about 10 years old. We had to take it in turns to read and I lost my place and the teacher kept yelling at me “die naturel” (the native). I couldn’t find it on the page because my book had “die kaffer”, and some of the newer editions had “die Bantoe”. So we learnt how political correctness was always moving the goalposts, although neither “political correctness” nor “moving the goal posts” were part of current idiom back then. In opposition circles the African National Congress (ANC) only had black members, but it was part of the Congress Alliance, where the Congress of Democrats had white members and there were Indian and Coloured Congresses too. The ANC comprised a great variety of people with different views. Some were left and communist, some were centrist and liberal, wanting to establish a non-racial democracy. Some were African nationalist, and sometimes referred to themselves as Africanist. They objected to the influence of white communists on the ANC, and broke away in the late 1950s to form the Pan Africanist Congress (PAC). Their aim was to liberate Africa from white rule, and for them “African” had both colour and geographgical connotations. One of their aims, inherited from the Pan African movement of the 1920s, was to create a United States of Africa. Many in the PAC rejected the Congress Alliance kind of thinking, and said that whites, coloureds and Indians had no role to play in the liberation of South Africa; it was only for Africans. This attitude of the PAC led some to accuse them of racism, which led some in the movement to adjust their definition of “African”. It did not mean only black people, they said. It could include white, coloured and Indian people as well, provided that they identified themselves as African, and did not regard themselves as having a “home” on another continent, like Europe or Asia. So the term “African” could mean various different things. It could refer to people of a particular skin colour and ethnic origin. It could refer to those whose political thinking was continent-wide, rather than confined to one country. And it could mean those who, no matter what their colour, identified themselves as African. And things haven’t changed much from 50 years ago. One thing that apartheid fostered was racial stereotypes, and the belief that cultures should not mix but that they should “develop separately along their own lines”. Their “own lines” were usually laid down by the National Party government. In 1961 and 62 I was a bus conductor in the Johannesburg Transport Department, which had buses for “Europeans” “Non-Europeans” and “Asiatics and Coloureds”. The “European” buses weren’t labelled, but the others were, and while Asiatics and Coloureds could ride on the Non-European buses, Africans/Natives/Bantu/Blacks could not ride on the Asiatic and Coloured buses. When I was training as a bus conductor most of my fellow trainees were urbanising Afrikaners straight from the farm, and we were told that we must not call the black clients “kaffers”. The transport department staff referred to them as “Kadals” or “Kadallies” — I assume that that was a reference to Clements Kadalie, a prominent black trade unionist of the 1930s. And from observing and interacting with passengers in these separate universes, I developed my own racial stereotypes. Whites were grumpy when sober and mildly uncooperative when drunk. Blacks were cheerful and chatty when sober and sullen and uncooperative when drunk. Indians were cold, aloof and icily polite and always sober. Coloureds (who travelled on the same buses as the Indians) were rarely sober but rude and uncooperative whether drunk or sober. These are gross generalisations, and there were, of course, exceptions. By “uncooperative” I mean that they did not pay their fares promptly. And of course the way people behaved when they were bus passengers did not determine the way they behaved in the rest of their lives. The white passengers also varied more depending on the bus routes. Those on the Dunkeld route were upper middle class, living in posh mansions with lots of servants. Those on the South Hills route were working class living in council houses. Blacks travelling to Dunkeld were usually servants to the white madams on the white buses. Blacks travelling on the Race Course route on weekdays were usually workers in factories in Booysens, Selby and Ophirton, while on Saturdays they were usually going to bet on the horses. It did give an observation point to see how the other half (or halves) lived. So though I became a strong proponent of a non-racial society, and joined the Liberal Party, which advocated a non-racial democratic society, I never imagined that people of all cultures and ethnic groups were the same. But despite the obvious differences, I thought that all should have equal legal rights in society. and that if they were to develop along their own lines, they should be free to decide for themselves what those lines were and whether those lines cut across the boundaries of the various ethnic groups that apartheid insisted must be kept separate. When I went to university I met students of different backgrounds, especially at student conferences, such as those of the Anglican Students Federation, because the universities themselves were segregated and becoming more so. One whom I met at such conferences was Stephen Gawe. He was also a member of the interdenominational Student Christian Association (SCA), which itself was being forced to become segregated under pressure from its Afrikaans section. In 1964 he was detained and eventually charged with being a member of the banned ANC, and sentenced to a year in jail. On being released he was banned. I was active in the Liberal Party, especially during my final year at university, and warned that I would be banned, and left for the UK just before getting a banning order. I thought I’d feel at home in the UK. After all, they spoke English there, and so it should be easy to communicate. Most of the books I’d read when growing up, both fiction and non-fiction, had been published in the UK. The last thing I expected was culture shock, and because it was so unexpected, it probably hit me harder. I knew the names of London streets and landmarks from reading about them, and from playing Monopoly, though they turned out to be utterly different from what I had pictured when reading about them. A few months later I was joined by by Stephen Gawe, who had a bursary to study at Oxford as I had at Durham. We compared notes, and found we had suffered almost exactly the same culture shock. For our first few months in Britain we both felt alien and alienated. And I then realised that in spite of apartheid, which had tried to separate us and say we were too different to associate with each other, we had in common that we were African and not European. We had grown up under the same sky. We had grown up under the same oppressive government, and struggled against it. Africa was my home. And when Stephen Gawe got married, I was both flattered and honoured when he asked me to be his best man. As a student in Britain I made some British friends. But they could never share with me what Stephen Gawe shared with me. I could see and share to some extent the environment in which they grew up, but they never knew where I was coming from. To them I was, and would remain, a “wog”. I’d been to a wog college, had a wog degree, and wore a wog academic hood on formal occasions when we had to wear such things. As an alien I had to register with the police, and notify them of any change of address. When I went to Durham to the university, they told me at the police station that there was another South African student who had registered. He was in a different college, but we met. We was black and I was white, and though I had never met him before, there was a bond; we were homeboys. His name was Marcus Balintulo. And then I think, there are lots of black people in Britain, British born, and their parents born in Britain too. Are they British, or will they forever be regarded as aliens, as second-class citizens. There are some, like English nationalists, who would say that black people in Britain may be British, but they are not and can never be English. It seems to work both ways. People spoke about differences between European and African culturee, or between black and white culture. Some of these have been described as characteristically African. But I’ve discovered that most of them are not. What is described as “African” is actually premodern, and those characteristics were common in Europe before the modern era. Europe has exported modernity to Africa, and it is something picked up through Western education and urbanisation. As time has passed, I’ve become less aware of questions of identity. I’ve stopped bothering so much about whether I am African or whatever. Perhaps that is a result of encountering more different cultures, and discovering more points of contact between different cultures. I read Samuel Huntington’s book The clash of civilizations and the remaking of world order and realised that I am a walking clash of civilizations myself. I’m African by birth, Western by education, and Orthodox by religion. I’ve got a foot in three camps, and so don’t have a clearcut “identity”. But that has ceased to bother me. So when Sentletse Diakanyo complains “Now whites want to be classified as African too” all I can say is that I’d rather not be classified at all. Classification into such groups was one of the features of apartheid, and it’s high time we stopped being obsessed by racial identity and wanting to be classified. And when it comes to identity, the one thing I reject, utterly and completely, is any sense of concept of “white” identity. Perhaps that’s a hangover of my rejection of apartheid, but one thing I really hate is when people speak of “the white community”. There is no such thing, and even if there were, I would want no part in it. And there is no such thing as “white” culture or “white” values. And I’m not sure that one can speak of European culture or African culture either. How much common culture is there between Albania and France, or between Tunisia and Swaziland? Fifteen years ago I spent a couple of weeks in the Orthodox seminary in Nairobi, doing research for my doctoral thesis. There were students from all over Africa. I found it interesting that the students from West Africa seemed to gravitate to me. They were suffering from culture shoch, and they couldn’t stand the East African food, and perhaps they thought that I, as a foreigner, would be equally alienated. But actually I felt quite at home in Kenyan culture. It seemed to have a lot of similarities with southern Africa, and far fewer with West Africa. One thing I did find strange about Kenyan culture, though, was their attitude to South Africa. When people heard I was from South Africa I expected them to ask about our (then fairly recent) transition to democracy. But no, the only thing they were interested in was the Mandela divorce and who would get the money. One of the things that helped me to discover my primary identity, however, was the republican referendum of 1960. The referendum question was “Are you in favour of a republic for the union?” Were you a republican or a monarchist. I decided that I was a monarchist. My primary loyalty was to the kingdom of God, and the republic of South Africa came a very poor second, especially when the main criterion for citizenship was whiteness. One of those who falls into the category of “Black British” is Stephen Gawe’s daughter Nomtha, whom I have never met, but she got in touch with me after reading this, and made some interesting comments. ← What is a priest? Something that strikes me about the way “identity” is commonly viewed in South Africa is that it is seen as exclusive categories, like a Dewey system for people. This is probably a legacy of apartheid. In other countries identities are seen as more inclusuve. On census forms and in HR compliance reporting people can select multiple identities for themselves. That brings me to my second observation: in South Africa identities were/are an objective “given”, and historically they were mandatory, rather than a construct that one chooses for oneself (or chooses not to participate in). I think you’ve hit the nail right on the head. It’s a matter of the mandatory/given single identity versus the multiple self-chosen ones. Thank you for posting this discussion as it reminds me of a deep discussion my father, Stephen Gawe, and I once had. It came about after my first visit to South Africa, having been brought up entirely in the UK and probably experiencing the “opposite” of your culture shock! That identity can be so exclusively described is something which I feel is inherently wrong. I may be black but I am certainly not African. In fact, having spent just a short time living in South Africa, I know for sure, I am not African other than by heritage. I would describe myself initially as a bit of a Geek, but I follow England’s Rugby team, love England’s seasons, follow British politics and complain bitterly about the abuse of the apostrophe as well as the decline of standards in the teaching of the English language more generally. I do not feel any right to claim being “African” other than to recognise my ancestry but I know little or nothing when it comes to African politics, language or “culture”. As it is, I do cherish both heritage and facets of culture – although I know I will be an eccentric old, middle-class English, Xhosa-born Black lady one day. Thank you very much for the comments, and even more for getting in touch. Though I’ve never met you (the apartheid regime kept me in South Africa and your father in Britain), I welcome the link to an old friend. And yes, I think our experience is similar, or a reversal of sorts. I like family history, and all my remote ancestors (the ones I’ve discovered) came from Britain, so I suppose I could say I’m British by heritage, but when I first went to Britain I felt utterly alienated. After two and a half years there studying it, I got used to it, and came to appreciate some aspects of British culture (like Newcastle Brown Ale). But I think once you adapt to one new culture, the next one is less of a hassle. It took me a year or more to adapt to Britain, in some other places I felt quite at home after a few days. Perhaps as a hangover from my bus conductor days, one of the things I like to do in a strange city is ride on a city bus, and look at the place, and see how people behave as bus passengers. I was quite chuffed when, after a couple of days in Moscow, a guy asked me the way to the nearest Metro station, and I not only understood the question, but was able to tell him the answer. Made me feel like a native right away. But perhaps that was Samuel Huntington’s Orthodox civilization thing coming out. Thoroughly, thoroughly, thoroughly interesting post. Interestingly, I’ve been having a conversation with a pan-africanist on similar lines recently. As far as he is concerned, integration is wrong. I particularly know what you mean when you say that Britain is a bit of a culture shock. We just don’t fit in there. I think I’m going to post a link to this blog in the Facebook group conversation as I think your story is an important one. Really enjoyed this. I didn’t live at this time and reading the stories of people during this time is really very interesting. Thanks for giving us a glimpse into your past and your story, Steve. Your article “What is an African: Race & Identity” raises a number of issues that challenge contemporary notions of identity particularly amongst those of mixed-race who I believe still struggle with notions of “blackness” let alone “Africanness” The UN has declared 2011 “The international year for people of African descent” and that may offer a definition that cut across individual preferences with no requirement to be “African!” whatever that may be. I worked with Stephen Gawe when he was a community worker in Southampton England in the early 80s and I knew Tozie and the children were small at the time. I would dearly like to make contact with him again and if anyone who reads this can provide me with a contact address I would appreciate that. Born in Nort West London of Sierra leonean parentage I have every sympathy with Nomtha’s view but I would still faithfully hold on to the notion that I am of “African Descent” even though I am more of a Londoner than an African. “Ethnicity” refers to groups who share a “Common Culture” , such as Yorubas, Igbos, Husa, Fulani, Mbundu, Zulu, Akan, etc. Nationality is the nation/country you have current citizenship in such as…American, British, Russian, Canadian, Nigerian, Senegalese etc. Race refers to one’s biological makeup, the phenotypes and genotypes you are mostly composed of, what you exhibit, the dark skin, the hair, the eyes, and facial features are all those traits found within an “African” group….Now that you all know the difference between the 3…..
anything beyond that are “Sub Groups”! who are comprised of this main 3 over a generation of constant mixing. Just because you happen to live in an African country does not make you African, neither does living in Japan make you “Asian”. All black people who traces their specific ancestral origins are “African”, black is not a race, it is a color. African is the race, i don’t know why anyone would think different!..”Africa” and “African” ARE COMPLETELY DIFFERENT!!! !…Africans inhabit a continent called “Africa”, Africans are the indigenous people related to that specific continent. Who adapted to that continent, if you are of African or European descent would you only say you are “Black” or “White”? just the sound of it is ludicrous and not scientifically accurate. I’m not sure what would be “scientifically accurate” about your definition. If you say that the three races are African, Asian and European, that means that Chinese, Indians, Turks and Arabs are the same race — Asian. Berbers and Bushmen are the same race – African. And what about Americans – Aleuts, Eskimos and Navaho? Don’t they count? How are you not sure what would be scientifically accurate about the definition? it’s modern anthropology. Chinese,Japanese, Koreans are East Asians, Turks and Arabs are ethnic groups who are primarily “Caucasian” (A word that is commonly misused for European-Americans) some Arabs & Turks can be racially “Asian” or even “African” or a mixture of both including the European genome. Caucasian/Eurasian is a “Sub-group” of Europeans (Whites) race is determined by the bone structure,genotypes and phenotypes. the Caucasian is defined by admixtures of “European” and “Asian” DNA. Asian Indians once occupied the middle east and Central Europe, and mixed with many of the European populations. Berbers, can be of any race within North Africa there are many African Berbers, some Berbers who look European and some who look Asian, and some who are heavily “Mixed”. Bushmen are indeed African, they appear to look Asian, but it is actually otherwise it is the Asians who look “African”. African features are diverse, which all modern humans descends from Africans. Americans are not a race, it is an “Ethnic Group”, within this ethnic group there are “Sub Ethnic Groups” the following are, African-Americans, European-Americans, Asian-Americans, Latino-Americans. and within these sub-ethnic groups, are other sub-ethnic groups. Aleuts, Eskimos and Navajo are all Asians. If you care to learn more about race and anthropology here is a link…. I think your argument has proven how iffy the whole race debate is. There are just as many “scientifically accurate” counter arguments. I am a white Afrikaner yet I know that I have Koi or San blood in my ancestry, In fact it is said that only 7% of the modern Afrikaner’s bloodline can be traced back to Europe. Yeah right. You’re European descent. I agree with you that the African race are the indigenous people of Africa. Black is a color, but “black people” are the African race. However you’re using outdated 19th century classifcation of race. Arabs and Middle Easterners are not Caucasian. There are not just three races in the world. When you say that, your still using European racial concepts to white-wash people by classifying them as being loosley related to Europeans when they aren’t. That classifcation was just as arbitrary as defining African as merely anyone that lives in the continent. Amen brotha. Finally, someone who has common sense. Tell this white man off. I’m am sick of white people appropriating and destroying African identity for their insecure selfish reasons. African are a race period. You either belong to it or you don’t. White people are deluding themselves. I am trying to track down Steve & Tozie Gawe & picked up their names on a link to your web site. I became friends with Steve when we both worked together in Hampshire at the NE Hants Institute of Adult & Community Education. The children were at 6th Form college locally & Tozie working in a (Frimley Park?) hospital. I am a native of Edinburgh Scotland and Steve had done post grad studies at Moray House college, part of the University of Edinburgh. 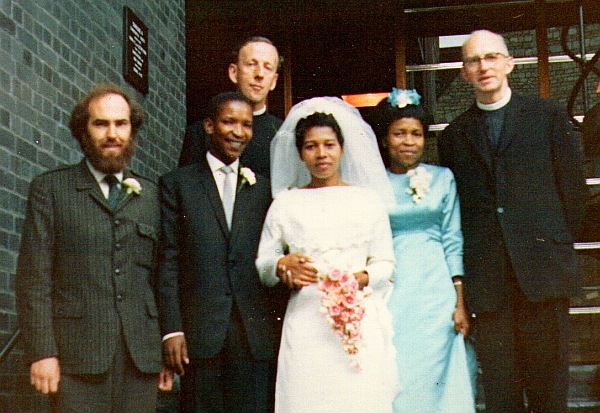 When I returned to Scotland, I then discovered we had a mutual friend/colleague in Ann Cohen, who had been a teenage friend of both Steve & Tozie in South Africa. I have lost touch with them completely & would love to pick up after 20-25 years. If anyone who reads this can help, I would be very grateful. Tozie died about 10 years ago, and Steve remarried. Their daughter Nomtha lives in Oxford. Steve, how-about you and other whites state the REAL reason why you are dissociating yourselves from your European heritage. Why you selfishly insist on intruding upon African/black people’s boundaries by falsely labeling yourselves African: because you are ASHAMED of what white people have done for centuries and continue to do for the sake of white supremacy. You belong to a race of savages unmatched in recent history. You take, you rob, you steal, you traipse across the globe like it’s your playground, you plunder Africa’s natural resources, stole Africa’s HUMAN resources, shipped them off to the “New World” to enrich those continents then had the NERVE to tell them they are no longer Africans. You took their name tag –their birthright –and stuck it on yourselves. When there’s not a DAMN thing African about you. The very claim is empty, vapid, preposterous and presumptuous. White people WISHED they had this greatness, this richness, this genius. Now White people can’t honestly say these words about themselves because it’s just not true. You can’t brag about the European race because everything they’ve ever gotten was by fraud and deceit. But black people? Does the African race have all these great characteristics? Do we supersede Europeans in creativity, genetics, intelligence (unhindered) and historical legacy? You bet! And THAT’S why you want to be us and CAN’T STAND US! Stop *competing* with the African race! You can’t touch this! You are not everything. You never will BE everything. White people need to make peace with their limitations. Accept the wrongs of the past (not you individually), and accept what you heritage is. Don’t hang you head in shame. That changes nothing. But don’t force yourself onto Africans and take their identity that isn’t yours. White people always force themselves onto people. Because you’re guilty and entitled. Stop it. You can call you yourself African all you want. But you never will be. Tiffany: That sounds very much like “If I want your opinion, I’ll give it to you.” Instead of telling other people what they think, why not try telling us what you think, and speaking for yourself? curtisamongfriends || (The Brilliant) Brett Murray on being White.